ING Nepal is an IT based company which is a non-profitable and non-government that focus of development of youth in technical education. It integrates principles from all disciplines of engineering and Information and Communication Technology (ICT) in the development of the Nation providing valuable knowledge sharing and put up experience to the society. ING provides and interactive display place to creative students to come together and go hand on hand in an effort to promote, educate, explore, create and share their curiosity. The organization that focuses in technical education in as aspects for development in ICT in the country, educating and introducing and improving in modernizing will help the development of the country. Making sure ICTD (Information Communication Technology for Development) is on toe and working for the development of ICT among the people in society and emphasizing and targeting the youths in the program. 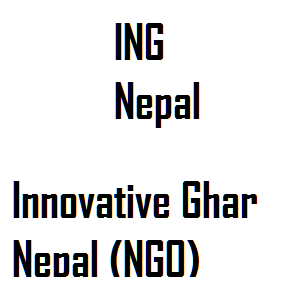 �ING Nepal strongly believes in leadership by offering innovation, current and relevant programs to the market with continues desire to improve with the determination to be able to solve the problems and ensure 100% accuracy with always taking right decisions. ING NEPAL promises to give honesty and stability with workers being able to depend on one another with being able to give respect to every individual. Being able to cope with any environment change and be time efficient with career opportunities to the nation to help it develop. Due to the pioneering work that they have done in the country, Government of Nepal’s Ministry of Education had in 2014 awarded the Executive Chairman Mr. Sulav Budhathoki, with a Letter of Commendation for advancing the betterment of higher education in Nepal.�ING has been organizing different ICT related programs in different collages of Kathmandu and Pokhara, running different activities and programs in Kathmandu, Bhaktapur, Lalitpur and Pokhara and is planning to extend the program to major cities and then villages of Nepal. Infact they are doing so so well that ING Nepal has made it possible for them to successfully implement their expansion plan for a strong presence throughout Nepal, where they have started four new colleges throughout Nepal. Those colleges are Herald College (Kathmandu), Itahari International College (Itahari), and Informatics College Pokhara (Pokhara) And Kathmandu Frontier Associates (Kathmandu). All of these all four colleges have commence their operation by 2016.